Location Based Alerting System — AMD Telecom S.A.
AMD Telecom’s Location Based Alerting System (LBAS) brings a new dynamic alerting system, using multiple technologies for people’s safety. With SMS, Voice and Cell Broadcast services, AMD Telecom allows authorities in private and public sector, such as Mobile and Landline Operators and the Public Safety Departments or Ministries, to track, alert and check the residents and tourist safety within a specific geographic area. The key to this system can be found by locating all mobile devices within a defined mapped area with the use of “Location Information” from Mobile Networks. The system can either create a radius just like a radar that will track the mobile devices of the people, locating the country of origin tracking the number, the sender ID and the message or create a lined geographical map, with a target of our interest to locate the devices. “SMS Alerting” is our company’s patented location SMS channel, that can alert all mobile inbound and outbound subscribers in a specified area. Location-based alerting system, in conjunction with SMS alerting allows authorities to visualize the density, distribution and total number of people in an area on a real-time basis. This technology works by integrating the LBAS solution with the components from telecom operators. There is no violation of privacy and details on physical location are not stored or exposed in any way as all information remains inside the operators’ networks. The LBAS component calculates which base stations affect and cover the specified area, it then finds the subscribers whose last location were on these base stations and sends the message by SMS. LBAS uses advanced load balancing and cell spreading algorithms to ensure the highest possible output of messages, without causing network overload or congestion. “Voice Alerting” is the most common and preferred alert system for both inbound and outbound subscribers including tourists and residents of a specific location. In contrast with the SMS alert that is a pulling information system, the Voice alert is a pushing system meaning that it can reach an immediate and accurate communication and be really useful in a case of a need, to people traveling or individuals with special needs. Moreover, the voice alerting message can be translated to the native language of the targeted region or country, creating a global network for better communication service. 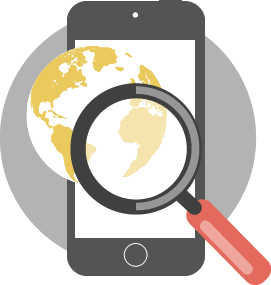 Our Mobile Technology allows the simultaneous delivery of unidirectional messages to all mobile handsets and similar devices within a designated geographical area. A cell broadcast message sent to a targeted location will reach all mobile handsets that have been configured to receive cell broadcast messages.